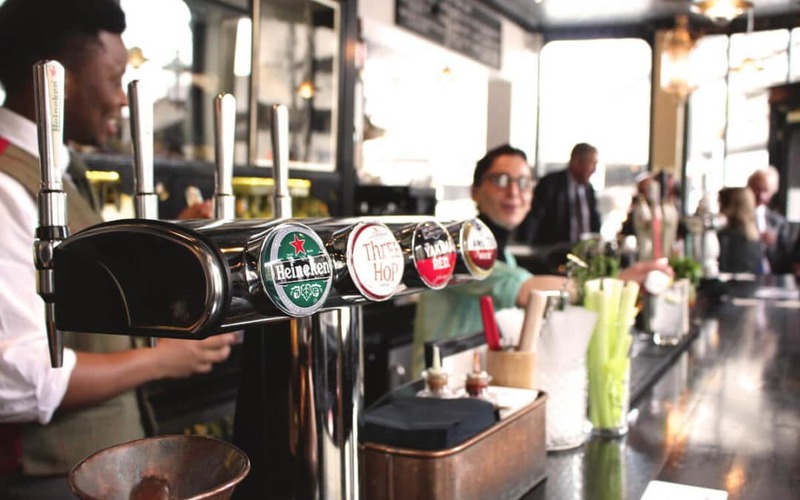 CAMRA urges tax break for pubs by calling on the Government to stop viable community pubs from being driven out of business by introducing a £5,000 annual reduction on their rocketing business rates. Reviews of business rates across England are seeing many pubs hit with a massive new financial burden, which in some cases could only be covered by them selling tens of thousands of extra pints of beer every year. Tapping into the 50,000 beer-lovers heading to the Great British Beer Festival this week, CAMRA is asking festival attendees to back the campaign by calling on their MPs to address the sky-high tax burden on pubs which is contributing to 21 pub closures a week. The campaign follows new research conducted by YouGov on behalf of CAMRA which found that the public overwhelmingly supports an urgent tax break for pubs. More than two-thirds (69%) of people who expressed an opinion agree with the argument that pubs should receive tax relief as they provide safe, managed places for people to get together and drink responsibly. While the Government introduced a one-off £1,000 discount scheme for some pubs in the latest Budget, CAMRA says this action does not go far enough to help keep many afloat. Colin Valentine, CAMRA’s National Chairman says: “Taxes now make up more than a third of the cost of a pub pint. Despite the fact that pubs currently account for 0.5% of turnover of the UK economy, they are still paying 2.8% of the business rates. This is frankly unsustainable, and it is the consumer that will ultimately pay the price – whether it’s when their beloved local closes down or when the price of their pint goes up. CAMRA is also calling on the Chancellor to freeze beer duty for the rest of the Parliament to help cap the price of beer, keeping more money in consumers’ pockets and helping the pubs and brewing sector to grow. All figures, unless otherwise stated, are from YouGov Plc. Total sample size was 2076 adults. Fieldwork was undertaken between 25th-26th July 2017. The survey was carried out online.The figures have been weighted and are representative of all GB adults (aged 18+). The YouGov survey asked “Earlier this year in the 2017 Budget, it was announced that pubs with a rateable value of less than £100,000 will receive a discount on their business rates (i.e. the tax on business properties), this is known as “tax relief”. Some people argue that as pubs are a business and all businesses pay tax, pubs shouldn’t be given tax relief. However others argue that because they help local communities by providing safe, managed places for people to get together and drink responsibly, they should be given tax relief. Do you think pubs should, or should not be given tax relief? Of the all UK adults (excluding “don’t know” responses), 69% said that pubs should be given tax relief and 31% said that pubs should not be given tax relief.